Manual Wiping - Dimple B.V. Wiping and cleaning, for whatever business you’re in, whatever material needs to be cleaned, Dimple offers a complete range of wiping solutions: dry plano wipes, perforated rolls and impregnated cleaning rags. Available from stock, so why wait? The BioCleaner-series by Dimple offers professional cleaning with a clear conscience. 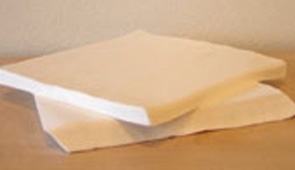 The ready to use wipes are presoaked with the solvent suitable for your application. Dimple has a range options, ensuring you have the correct wipes and detergents for your business needs. 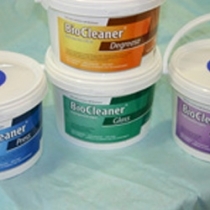 Available in plastic containers, cleansing wipes offer the easy solution to your cleaning work. This high quality solvent offers an excellent cleaning solution for rubber cloths, rollers, spatulas, spare parts and in and around your print press. Free of aromatics. Effective cleaning through ink releaser. Chromed, ceramic, rubber and plastic dampening rollers degreased easily and effectively by using the BioCleaner degreaser. The wipes are free of aromatics and chlorinated hydrocarbons. Cleans your glass surfaces! Scanners, copiers, anything made of glass Clean without spots and stripes. Cleans your hands thoroughly and is skin-friendly at the same time. Easy to use, no water necessary. Cleaning by hand comes easy using Dimple wiping rags. 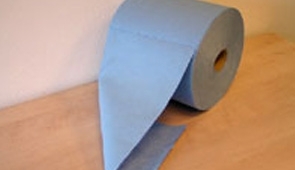 Available in 35 x 45 cms plano wipes in boxes.